We help people at risk of becoming homeless to stay securely housed, and those who are homeless to find and keep a home. We work with you to prevent homelessness and provide support. 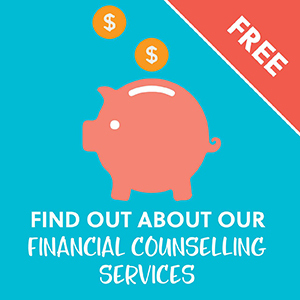 Our specialist program works with Department of Housing, Community Housing and other services such as drug and alcohol, domestic violence and mental health programs. Our focus is on people in our community who are most at risk of becoming homeless or who are currently homeless. Living in unsafe conditions … and more. Providing support to find and keep a job. Support to obtain, or maintain, medium and long-term housing. Our women’s refuge provides accommodation to women and children who are escaping domestic abuse and violence. Our refuge provides a safe space to reflect and plan for a safer future with the help of our experienced caseworkers. CatholicCare provides short-term transitional accommodation for children and families experiencing homelessness. Our caseworkers work with families to address their housing needs, assist with applications to the Department of Housing and the private housing market with the aim of finding long-term affordable housing solutions, and reducing risks of re-homelessness. KEYS helps young parents aged 16 – 24 years who are homeless, or at risk of being homeless. We offer accommodation assistance and support. Our street teams provide basic necessities, emotional support and information to vulnerable persons, offering assistance to gain affordable housing. Casework services offer these clients ongoing supports to reduce the risk of re-homelessness. These services cover the Hornsby, Ku-ring-gai and Ryde areas. Mary Mac’s provides homeless or transient people with a meal and a place to shower and wash clothes. Mary Mac’s also provides social, community and friendship opportunities for men, women and families, young people, elderly people and anyone facing difficulties in their lives. This service is located at the Ethel Cox Centre, 100 Blackwall Road, Woy Woy. For more information click here.